Our precision needle manufacturing capabilities include anesthesia needles, biopsy needles, cardiology needles, radiology needles and much more. 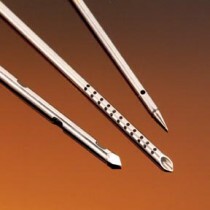 All needles are custom-made to your specifications including OEM needles for device manufacturers. 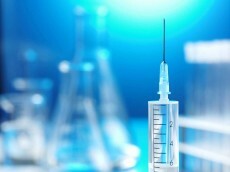 Our laboratory needle offerings include needles used in biomedical research, pharmaceutical, drug delivery, animal research including animal feeding needles (gavage needles) as well as needles and probes for laboratory automation. All laboratory needles can be custom-made to specifications including OEM needles and reagent probes suited for a variety of instruments. All needles conform to ISO 594 standard and are available in a variety of configurations to fit application requirements such as 304/316 stainless steel tubing and hubs, Non-Coring Septum Penetration Points, PTFE, Ceramic and our new PSX Coating technology offering superior and virtually scratch-resistant coating: PSX-H with hydrophobic properties, PSX-CH with hydrophobic and ceramic protection and PSX-D, with DMSO-resistant coating.